We have recently celebrated the bicentennial of the signing of the United States Constitution. That commemoration marked the beginning of a series of bicentennial anniversaries of events leading up to the ratification of the Constitution, implementation of the government it created, and the writing and ratification of the Bill of Rights. We look forward to the future commemoration of each of these important events during the next four years. It is as a result of these events that we are able to meet today in peace as members of the restored Church of Jesus Christ. For this we should all be eternally grateful. I desire, therefore, to speak to you about our divine Constitution, which the Lord said “belongs to all mankind” (D&C 98:5; italics added) “and should be maintained for the rights and protection of all flesh, according to just and holy principles” (D&C 101:77; italics added). The Doctrine and Covenants states, “We believe that no government can exist in peace, except such laws are framed and held inviolate as will secure to each individual the free exercise of conscience, the right and control of property, and the protection of life” (D&C 134:2). Life, liberty, property—mankind’s three great rights. At the conclusion of the Declaration of Independence, they wrote, “And for the support of this Declaration, with a firm reliance on the protection of Divine Providence, we mutually pledge to each other our lives, our Fortunes, and our sacred Honor.” This Declaration was a promise that would demand terrible sacrifice on the part of its signers. Five of the signers were captured as traitors and tortured before they died. Twelve had their homes ransacked and burned. Two lost their sons in the Revolutionary War; another had two sons captured. Nine died from wounds or from the hardships of the war. The Lord said He “redeemed the land by the shedding of blood” (D&C 101:80). Nephi recorded that the Founders “were delivered by the power of God out of the hands of all other nations” (1 Ne. 13:19). The years immediately preceding the Constitutional Convention were filled with disappointments and threats to the newly won peace. Washington was offered a kingship, which he adamantly refused. Nephi had prophesied hundreds of years before that “this land shall be a land of liberty unto the Gentiles, and there shall be no kings upon the land” (2 Ne. 10:11; italics added). Eventually, twelve of the states met in Philadelphia to address the problem. Madison said at the beginning of the Convention that the delegates “were now digesting a plan which in its operation would decide forever the fate of Republican Government” (26 June 1787, Records of the Federal Convention, 1:423). “The Lord knoweth all things from the beginning,” said Nephi, “wherefore, he prepareth a way to accomplish all his works among the children of men” (1 Ne. 9:6). Four months later, the Convention delegates had completed their work. As Gladstone said, it was “the most wonderful work ever struck off at a given time by the brain and purpose of man” (William Gladstone, North American Review, Sept.–Oct. 1878, p. 185), and the Prophet Joseph Smith called it “a glorious standard … a heavenly banner” (Teachings of the Prophet Joseph Smith, sel. 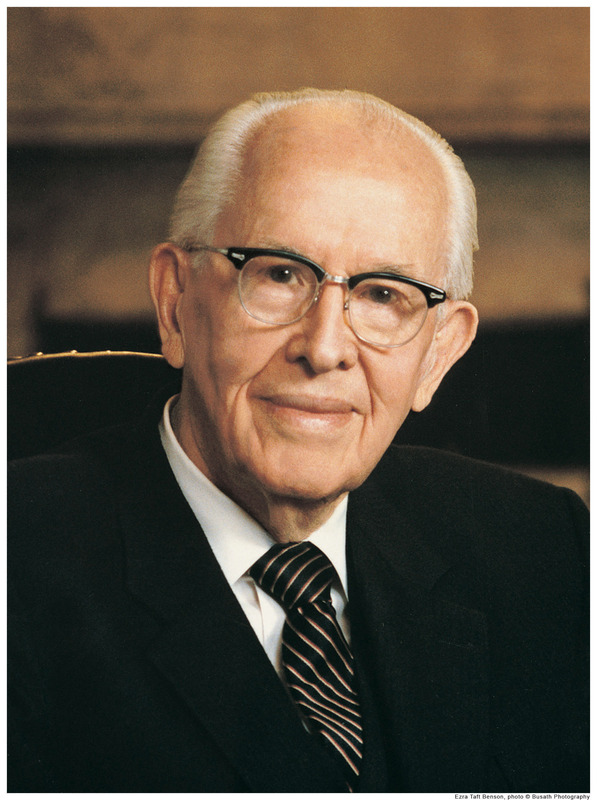 Joseph Fielding Smith, Salt Lake City: Deseret Book Co., 1938, p. 147). The delegates were the recipients of heavenly inspiration. James Madison, often referred to as the father of the Constitution, wrote: “It is impossible for the man of pious reflection not to perceive in it a finger of that Almighty hand which has been so frequently and signally extended to our relief in the critical stages of the revolution” (The Federalist, no. 37, ed. Henry Cabot Lodge, New York: G. P. Putnam’s Sons, 1983, p. 222). Alexander Hamilton, famous as the originator of The Federalist papers and author of fifty-one of the essays, said: “For my own part, I sincerely esteem it a system, which without the finger of God, never could have been suggested and agreed upon by such a diversity of interest” (Essays on the Constitution of the United States, ed. Paul L. Ford, 1892, pp. 251–52). Charles Pinckney, a very active participant and author of the Pinckney Plan during the Convention, said: “When the great work was done and published, I was struck with amazement. Nothing less than the superintending Hand of Providence, that so miraculously carried us through the war … could have brought it about so complete, upon the whole” (Essays on the Constitution, p. 412). During his first inaugural address in 1789, President George Washington, a man who was raised up by God, said: “No people can be bound to acknowledge and adore the invisible hand, which conducts the affairs of men, more than the people of the United States. Every step by which they have advanced to the character of an independent nation seems to have been distinguished by some token of providential agency” (First Inaugural Address, 30 Apr. 1789). The dedicatory prayer for the Kirtland Temple, as dictated by the Lord and found in the Doctrine and Covenants, contains these words: “May those principles, which were so honorably and nobly defended, namely, the Constitution of our land, by our fathers, be established forever” (D&C 109:54). The Lord said, “Therefore, I, the Lord, justify you, and your brethren of my church, in befriending that law which is the constitutional law of the land” (D&C 98:6). John Adams said, “Our Constitution was made only for a moral and religious people. It is wholly inadequate to the government of any other.” (The Works of John Adams, ed. C. F. Adams, Boston: Little, Brown Co., 1851, 4:31). If the Constitution is to have continuance, this American nation, and especially the Latter-day Saints, must be virtuous. The Book of Mormon warns us relative to our living in this free land: “Wherefore, this land is consecrated unto him whom he shall bring. And if it so be that they shall serve him according to the commandments which he hath given, it shall be a land of liberty unto them; wherefore, they shall never be brought down into captivity; if so, it shall be because of iniquity; for if iniquity shall abound cursed shall be the land for their sakes, but unto the righteous it shall be blessed forever” (2 Ne. 1:7). Two great American Christian civilizations—the Jaredites and the Nephites—were swept off this land because they did not “serve the God of the land, who is Jesus Christ” (Ether 2:12). What will become of our civilization? As Jefferson said, “If a nation expects to be ignorant and free … it expects what never was and never will be” (Letter to Colonel Charles Yancey, 6 Jan. 1816). The Lord said that “he holds men accountable for their acts in relation” to governments “both in making laws and administering them” (D&C 134:1). We must follow this counsel from the Lord: “Honest men and wise men should be sought for diligently, and good men and wise men ye should observe to uphold; otherwise whatsoever is less than these cometh of evil” (D&C 98:10). Fourth, we must make our influence felt by our vote, our letters, our teaching, and our advice. We must become accurately informed and then let others know how we feel. The Prophet Joseph Smith said: “It is our duty to concentrate all our influence to make popular that which is sound and good, and unpopular that which is unsound. ‘Tis right, politically, for a man who has influence to use it. … From henceforth I will maintain all the influence I can get” (History of the Church, 5:286). I have faith that the Constitution will be saved as prophesied by Joseph Smith. It will be saved by the righteous citizens of this nation who love and cherish freedom. It will be saved by enlightened members of this Church—among others—men and women who understand and abide the principles of the Constitution.